Comments: Brand New! No Remainder Marks or Worn Dirty Overstocks! Comments: Book is in bad Condition. May contain some highlighting/written notes. Cover may be worn. Stamped and Stickered USED. No CD's, codes, or software. Ships from SoCal, usually same day as ordered. Please read my feedback about FAST shipping. 10% restocking fee on returns. 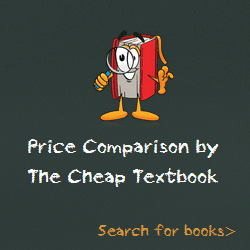 This entry was posted in Book and tagged 0486419312, 978-0486419312, 9780486419312, Top Textbooks August 2014 on August 28, 2014 by Textbooks.